Our planet is a magical and amazing place. 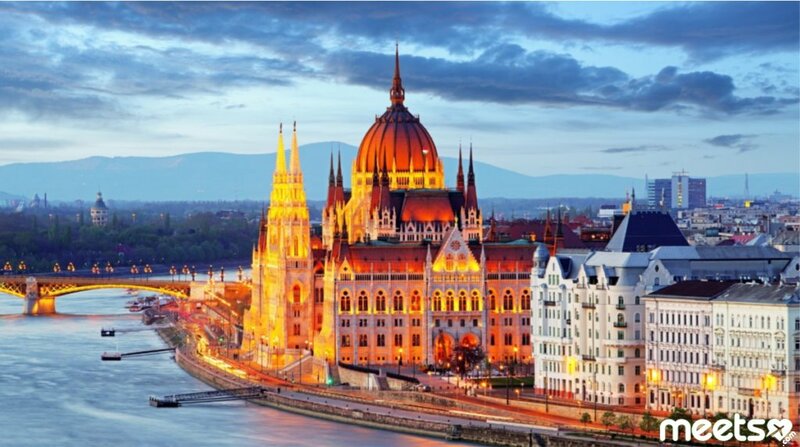 There are a lot of beautiful, impressive, unforgettable places at either end of the Earth. Natural wonders are in almost every country and there are a few from around the world that we all know. 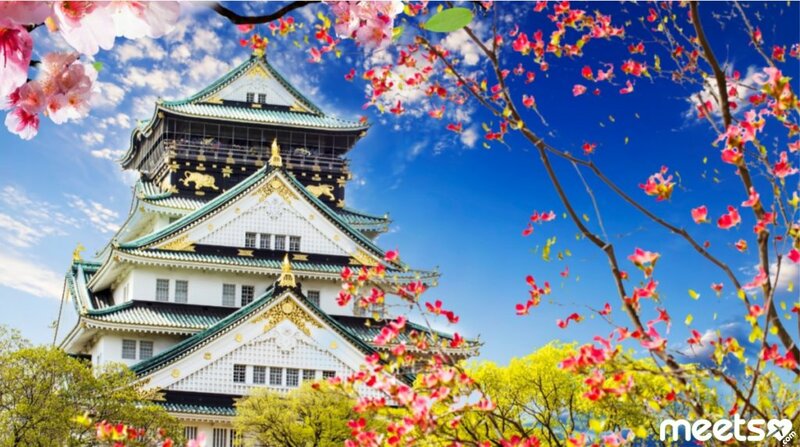 Today we want to tell you about 5 not very famous but wonderful places. The first one is Erg Chebbi, Morocco. Erg Chebbi is found in the Moroccan Sahara. It is a stunning display of wind-blown sand dunes that transport you to another world. They stretch for 22 kilometres and some of the dunes are as tall as 150 meters. 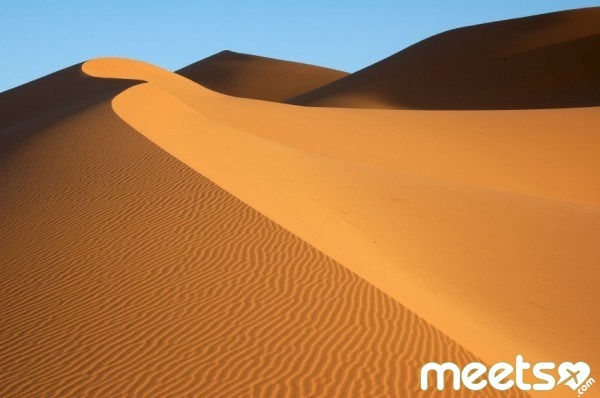 The sands are believed to heal bodily pains so Moroccans visit each year to bury themselves neck deep in the hot sands. Do you want to try? 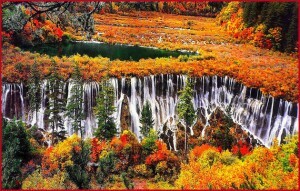 The second natural wonder is Jiuzhaigou Valley, China. 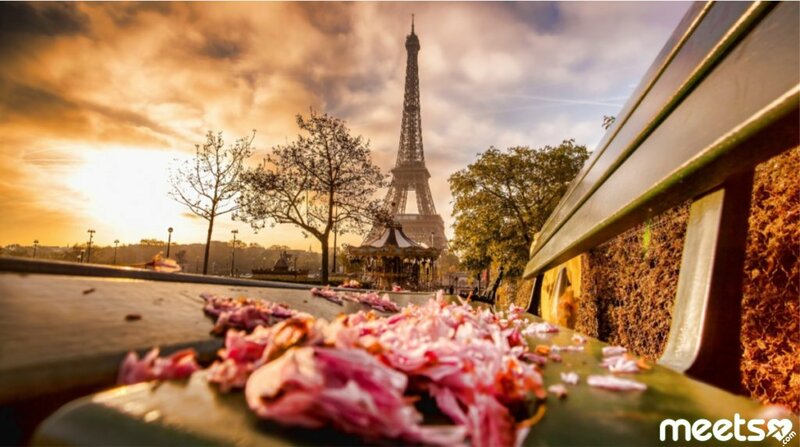 Look at this amazing picture – this place is magical! There is no equal elsewhere that has sceneries and fables of dreamlike eloquence, or natural purities like a fairyland as it. 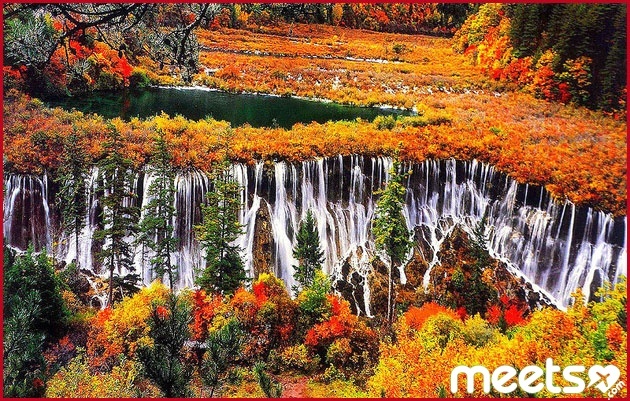 Jiuzhaigou Valley is located in Nanping County, 450 kilometers (about 280 miles) to the north of Chengdu City. 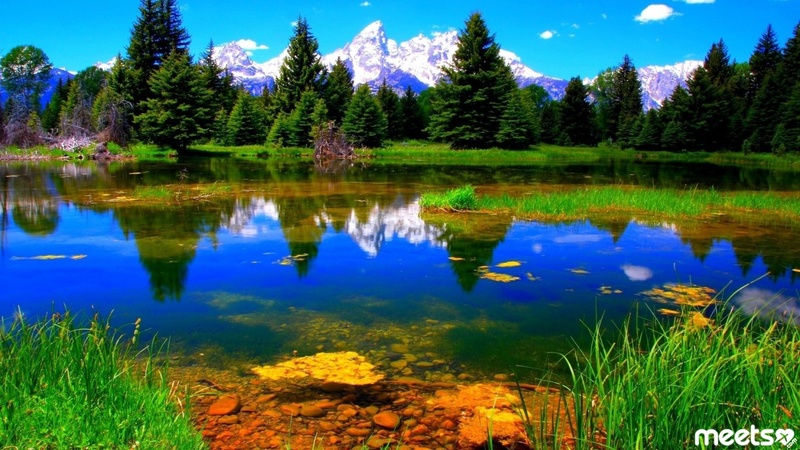 It is a great masterpiece of nature having dreamlike scenery, which combines blue lakes, waterfalls, verdant forests, snow-covered mountain. This place was awarded the status of UNESCO Man and Biosphere Reserve in 1997. 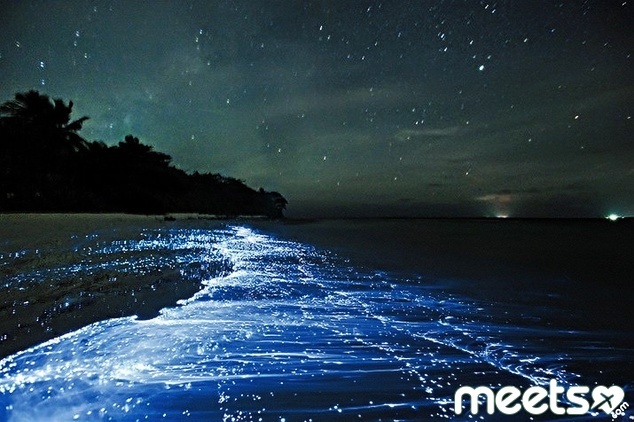 The next unusual place on our planet is The Sea of Stars, Vaadhoo Island. 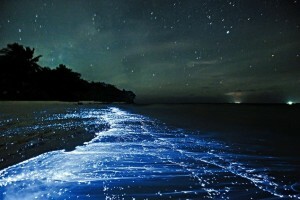 The Sea of Stars (the luminous waves) is a can’t miss for anyone seeking a truly magical experience. Vaadhoo Island (a part of the Maldive Islands) located in the Indian Sea, is famous for this otherworldly occurrence. All around the island at night, the waves lapping the shore appear to be glowing with stars. These “stars” are really a type of phytoplankton known as dinoflagellates that are able to generate a marine bioluminescence. Scientists still aren’t quite sure why these amazing tiny beings are able to do what they do, but what we do know is that it’s breathtaking. What about a romantic night on this shimmering shore? 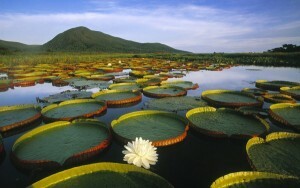 Now look at the fourth wonder – Pantanal, Brazil. 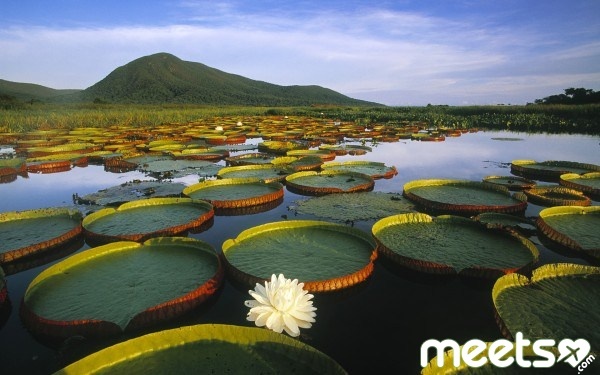 The Pantanal is a natural region encompassing the world’s largest tropical wetland area. It is located mostly within the Brazilian state of Mato Grosso do Sul, but it extends into Mato Grosso and portions of Bolivia andParaguay. The Pantanal is the best place to see wildlife. The Pantanal has few people and no towns. 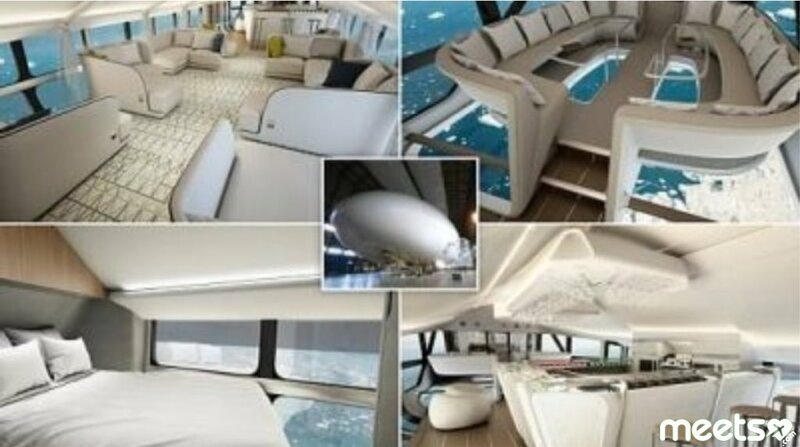 Distances are so great and ground transport so poor that people get around in small airplanes and motorboats. The Parque Nacional do Pantanal Matogrossense occupies 1350 sq km in the southwest of the region, but most of the Pantanal is privately owned. The national park and three smaller private nature reserves nearby were given Unesco World Heritage listing in 2000. And on the fifth stage of our top is Blue Lagoon, Iceland. The Blue Lagoon is an out-and-out tourist attraction, it manages to wow even the biggest cynics with its special brand of geothermal magic. The waters of this beautiful geothermal lagoon range in temperatures from 37–39 °C (98–102 °F). It was formed as part of a lava flow and the mineral rich waters are allegedly good for skin disorders such as psoriasis. By the way, Iceland is one of the best locations to observe the solar eclipse on the 20th of March 2015. 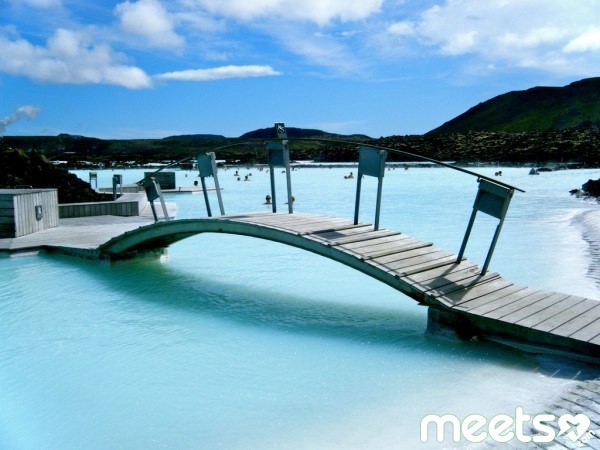 We were late to this unusual event but we have a great chance to visit the Blue Lagoon at any other time. Friends, are you visited any of these places? We are waiting for your comments! Why traveling couples are happier?